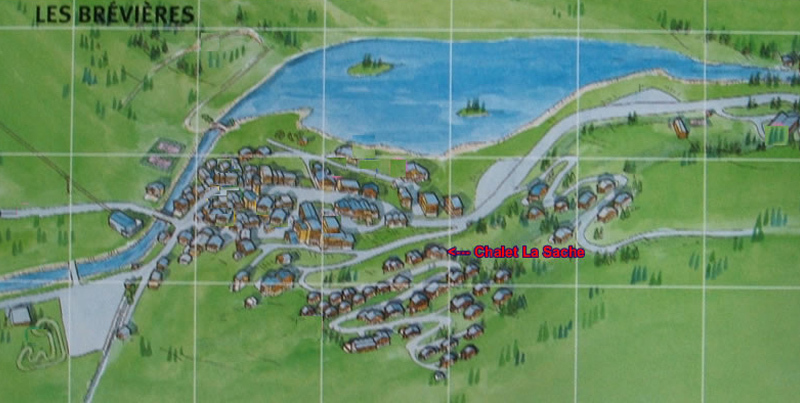 is located approximately 300m from the ski lifts on the left side as you enter the village. Take the (D902) from Bourg St. Maurice towards Tignes / Val D’Isere, then take the turning on the right to Tignes Les Brevieres after about 21kms (if you come to a dam you’ve gone too far), after about half a mile take the road on the left opposite the first shop (TABAC), go around one hairpin on this road and continue up the hill – Chalet La Sache is the last chalet on the left just before the next hairpin. If you get lost or are stuck in traffic and look like arriving late, please call the chalet on +33 (0)4 79 400562.